Since launching its Thanks a Latte recognition program four years ago, Doctors of BC has seen incredible growth in its usage and popularity. Thousands of lattes have been handed out at the 231-employee organization. The latte program is one of three recognition programs at the Vancouver-based employer. It’s a peer-to-peer program that allows people to nominate colleagues for a $5 coffee or points card. The card is delivered along with an actual thank you card featuring a hand-written note by the nominator. To make the nomination, an electronic form consisting of drop-down boxes and fillable fields is available on the company intranet site. Along with the employee’s name, the nominator must show the corporate value the employee demonstrated — “better together, pursue excellence, courageous and seriously fun” — and a brief description of why the person is being thanked. Once it’s submitted, a copy of the nomination is sent to the nominator, the nominator’s manager and the recipient’s manager, so managers are aware of who is being recognized, along with knowing which colleague took the time to make the nomination. And if they have any concerns, they can go back to the nominator. A copy is also submitted to HR for reporting purposes. The employee is then given the reward card and latte card, which can be used at four different coffee shops with outlets near the Doctors of BC office. And as the organization moves to more of a flex-work environment supporting remote work, a virtual piece will be added, says Corcoran. The points card can be used to redeem points for Doctors of BC merchandise from a “lookbook.” It’s here rewards are found as part of a second recognition program — the Manager Recognition Program. Created in 2017, the program gives managers a meaningful way to recognize the efforts and accomplishments of team members who have made a positive impact — internally or externally. “While managers did a really great job of informally recognizing contributions of their employees — through thanking or taking people out for lunch — it was important to also formally recognize the contributions of employees, and then by sharing that publicly, which we do at our all-team meetings, it also is contagious,” she says. A manager can nominate an employee via an intranet form which is submitted to HR and an recognition approval team made up of three senior executives who rotate each month. They ensure the program is effectively and consistently applied, and having them involved also encourages recognition amongst senior leadership. Once approved, the manager goes to HR to pick up the thank-you card and colour card, which can be redeemed for items from the lookbook. A personalized note is added, and the employee is presented with the reward at the next team meeting, where the CEO takes time to name these team members and acknowledge their accomplishments. The colour cards recognize varying levels of effort and impact. The lookbook features high-end branded clothing for a Doctors of BC clothing line. The sportswear includes a range of items corresponding with the colour cards, such as track pants, yoga pants, hoodies and athletic jackets. “We’re always updating those products to make sure they’re relevant, that employees are excited about them,” says Corcoran. Employees can also save up their Thanks a Latte point cards to redeem the items. The program has exceeded utilization targets. Doctors of BC was aiming for two manager recognition submissions per month, and instead has seen about four. “We’ll use analytics to look at how much are our managers are using the programs, which departments are really strong at this, and then we’ll correlate our survey scores and we see that departments that are really utilizing the programs have higher scores,” says Corcoran. A third recognition program at Doctors of BC is around employee milestones, formally recognizing people’s length of service with awards at one, three, five, 10, 15, 20, 25, 30 and 35 years of service. Awards of increasing value are presented by HR, along with a letter of thanks from the CEO and a company-wide congratulatory email. “That’s recognizing the value that our employees bring each and every day, and we have low turnover rates, we have employees that stay here a long time and want to work at Doctors of BC a long time which is unusual in today’s environment,” she says. The award for a first anniversary is a bouquet of flowers delivered to the person by the manager. For year three, it’s a $100 credit towards dinner, and in year five, it’s a $150 dinner credit, plus a $500 gift card and an additional day off that year. 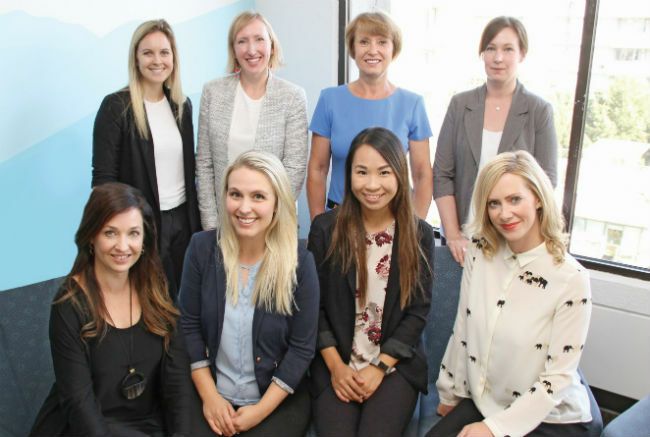 The recognition seems to be paying off: Engagement scores hit 93 per cent last year, while absentee rates have declined, from 1.80 average days per employee in 2015 to 1.26 in 2017. Great Place to Work survey results also found 83 per cent of employees agreed “Everyone has an opportunity to get special recognition” in 2017 — another improvement. And when it came to “management shows appreciation of good work and extra effort,” 84 per cent agreed that was indeed the case in 2017.